Celebrate with us the 30th edition of the Peoplep’s Poker Tour at the Casinò di Campione d’Italia from December 8-12,2016. Great tournament poker on the shores of Lake Lugano – make sure you’ll be part of the action! Campione d’Italia, the only Italian exclave in Switzerland, is just 60 km from Milan. 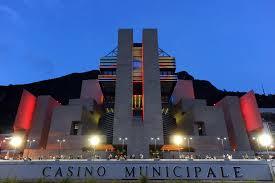 Its strategic position, picturesque scenery and the numerous attractions of its Casino all combine to create a magical atmosphere and above all, a great place for entertainment and gaming. Fun, culture and relax: Casinó Campione d’Italia is all this and more! Its splendid structure designed by the world famous architect Maria Botta, covers a surface of 55,000m². A truly breathtaking complex that reflects perfectly the dynamic, eclectic and innovative spirit of the Casino. An ideal location for enjoying not only the excitement of gaming, but also exquisite gourmet cuisine. Leave the A9 Milan-Como-Lugano motorway at the exit Campione d’Italia (after the tunnel). Cross the Ciasso bridge, Tresa bridge, Porto Ceresio and Porlezza-Oria passes, following the signs for Campione d’Italia. Important: a special coupon must be displayed on cars when driving on swiss motorways. This is available at swiss customs posts and petrol stations.